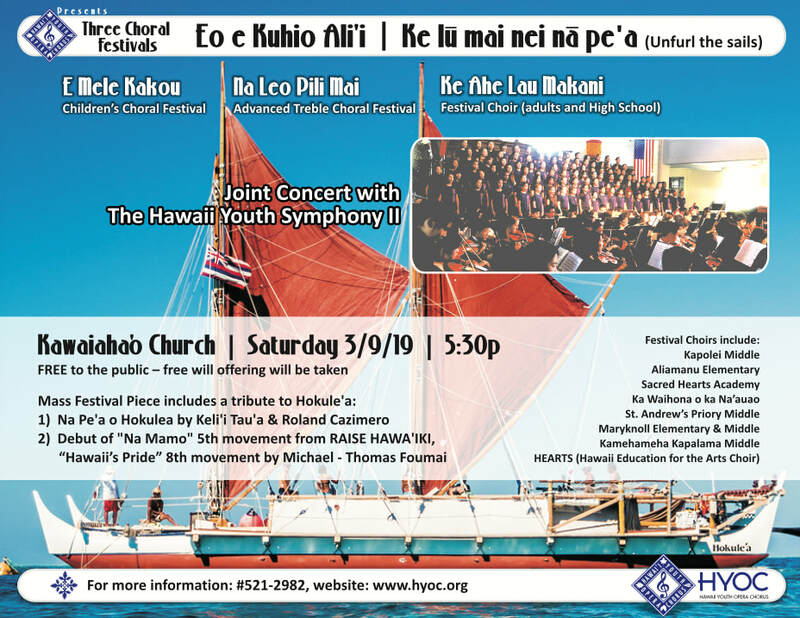 HYOC produces Choral Festivals specifically for the Elementary aged student (E Mele Kakou) and the advanced treble middle school singer (Na Leo Pili Mai). These two festivals are held jointly in collaboration with HYSA (Hawaii Youth Symphony Association). 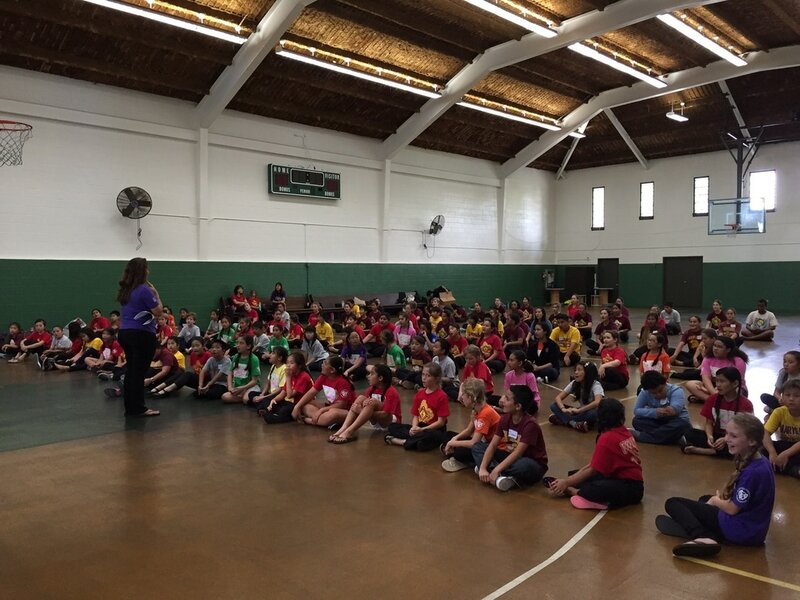 Each school and community choir is given an experience of basic musical concepts, vocal technique, hula and are invited to share their music with all attendees as well as the opportunity to sing with an orchestra in the beautiful acoustics of Kawaiaha’o Church. 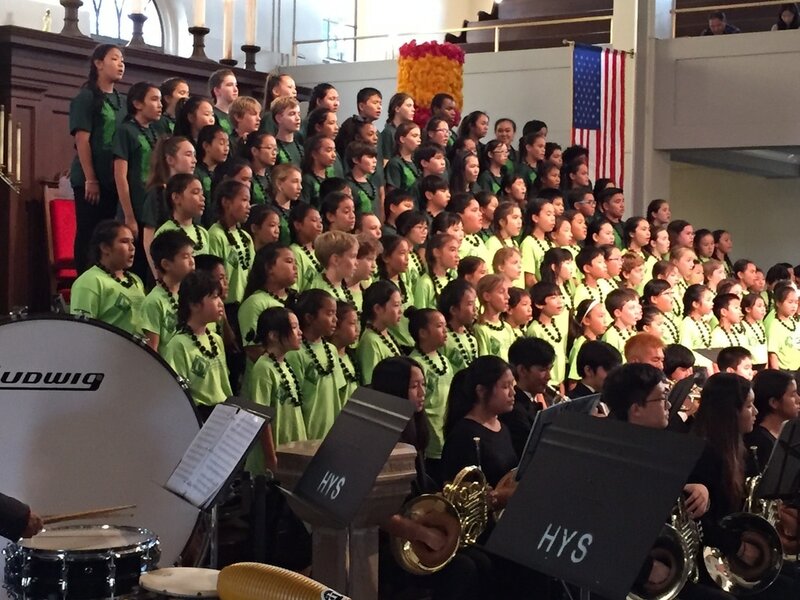 In collaboration with ACDA-HI (American Choral Director’s Association-Hawai’i Chapter), HYOC participates in the High School Choral Festival (Na Leo Hou). E Mele Kakou & Na Leo Pili Mai - Saturday 3/9/19 at Kawaiaha'o Church. Interested in participating in the festival with your choir? Please contact Rucci Aamodt. FREE community concert. Featuring the festival choir and the Hawaii Youth Symphony II. Saturday 3/9/19 at 5:30 PM. Na Leo Hou - 2/14-16/19 at Central Union Church. FREE community concert. Saturday 2/16/19 at 5:00 PM. Featuring clinician Derrick Fox of University of Nebraska.